This is Henry & our Siberian Husky…she needs lots of hug while being brushed. Previous Post snow in June…in Alabama?! They are both adorable! Our Dauschand/Jack Russell Terrier mix hates getting brushed!! You’re welcome, Amy! Well, enjoy them both! I never thought of rewarding Brownie after brushing and bathing her! I’ll have to try that even though she’s 13 now. Perhaps it still might work! I can’t give her anything except canned pumpkin for a reward now because of digestion problems she has. The vet said no more biscuits over a year ago. She loves the pumpkin, though! And thanks! 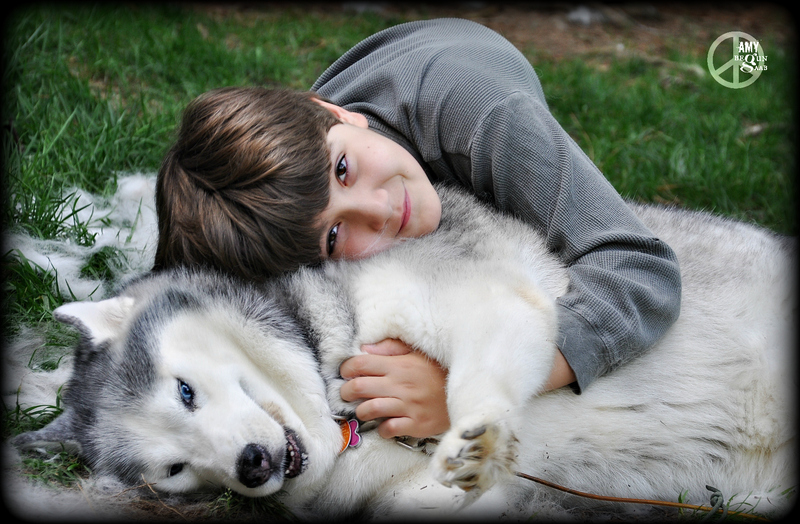 We’ve had Siberian Huskies for a long time….so much love! (And hair…LOL!) Even considered saving her hair and making a sweater from it….